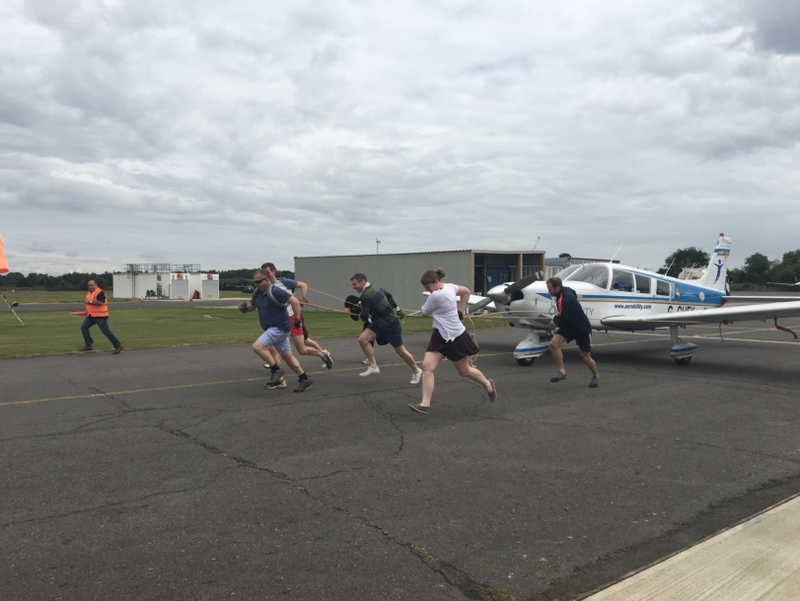 On Saturday 30 July teams from NATS, Prospect ATCOs Branch, the union representing UK air traffic controllers and charity Aerobility pulled a Cherokee 6 aircraft along the taxiway at Blackbushe Airport raising more than £6,500. The money raised has gone to Aerobility, a charity that offers disabled and profoundly ill people an experience of a lifetime by helping them to learn to fly an aeroplane. Overall winners were a team of air traffic controllers from Terminal Control at Swanwick, who pulled the aircraft in an impressive 33.29 seconds. Paul Winstanley, Prospect ATCOs Branch Chair at NATS and a Trustee at Aerobility, said: “It was a fun day out for everyone involved raising money for an extremely worthwhile cause. It was great to see a disabled team competing for the first year. The Big Pull event was held as part of Blackbushe Air Day, which included various aircraft displays and competitions, all of which was supporting the charity. There were 12 teams in total competing in the Big Pull – most of these were from NATS, but others from outside the organisation took part to support the charity.